Gotta be honest - in the years of using Android devices, we didn't miss the Recycle Bin almighty - a place that saved or obliterated by mistake many a files on our computers. But now that we installed one on a smartphone, we can't help but wonder - how come we never thought of that? Heck, how come Google didn't think of that? Having a trusty recycle bin to delete and restore files is awesome, and we're going to show you to get one. No root or sacrifices to a higher power needed! The procedure boils down to installing a clever app called Dumpster and making it work best for you. 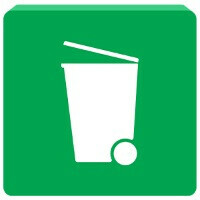 Install Dumpster from the Google Play store. Just follow the link. It's a free app! Open Dumpster, accept the license agreement, and get through the initial setup. It's simple and friendly. First, you select which file types you want Dumpster to preserve - it can be Images, Videos, Audio, Documents, and Archives in different formats; as well as Apps and App Updates. Further down, you get additional options that you should probably leave as is. After Dumpster is configured, it will analyze the contents of your file storage, along with other "stuff that needs to be analyzed". It will then assume a standby position, waiting for you to delete some stuff. Still with us? Okay, so we deleted a whole bunch of images to put our newly appointed recycle bin to work. They all showed up inside the Dumpster app, automatically categorized according to their content! Video files recorded with Rec appeared too. Here's one thing we love about the app - it shows you as much info as possible for the files within it. Audio files, for example, have waveforms! It's a cool touch for sure. But now, let's see how we go about emptying the recycle bin, or restoring files we don't want gone. If you want to empty the recycle bin and just blast all deleted files from the face of the Earth, tap on the icon on the upper left, and hit Empty Dumpster. That's all there's to it! But if you want to delete or restore specific files only, simply tap a category. The sliding menu will let you restore or delete all files from within the category. And if you put a checkmark on any number of files from it, you can restore or delete only them. Simple! I was just thinking about this yeterday while deleting some pictures from my phone. This is very interesting.... I wonder how secure will it be? What kind of permissions does it ask? I mean every file delete/restored goes through it first, maybe I am getting a bit too paranoid. Es file explorer already has this feature built in..!! If this app intercepts every deleted files from all apps: file managers and whatnot, it's a must have. ES I'd good but I just prefers x-plore's ease of use, only thing missing is the swipe to mark gesture on Symbian^3. Cool, I never noticed it... though that one seems to only work within ES FE app only.... if I delete from any other app it won't be sent to the Recycle Bin.